A tuxedo should fit well, inspire your confidence and reflect your attention to style so you feel great at your formal occasion. And to many men, one of the most important attributes a tux should also offer is freedom of movement. Feeling relaxed and unrestricted during your event compounds the joy. 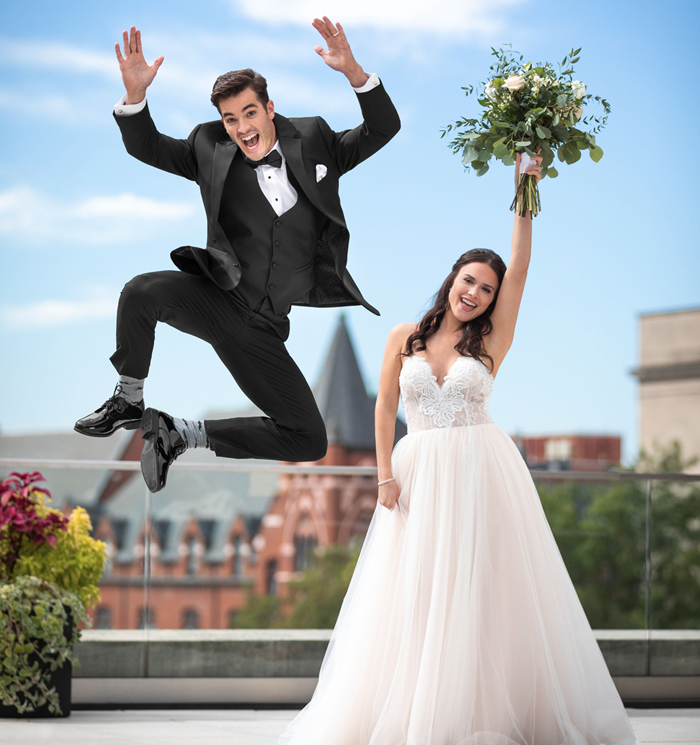 So, is there such a tux that is comfortable, flexible and moves with you instead of against? The Michael Kors Legacy is a tuxedo like no other. Tailored in a unique fabric comprised of CoolMax for comfort and Sorona for maximum flexibility, you’ll know you are wearing something special the moment you slip it on. The Performance Tux is tailored to fit all body types – including big and tall sizes. 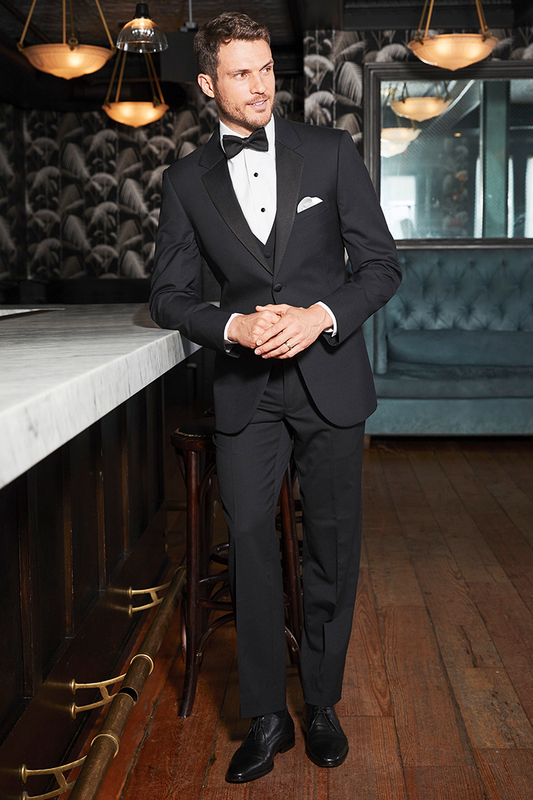 Ultra Slim Fit in styling, the Legacy has a two-button front, a satin notch lapel and side vents. The ultra slim fit pants that accompany the coat are also tailored of the same CoolMax and Sorona fabric. The tuxedo coat comes in men’s sizes (34 to 66) and boys’ sizes (3 to 18). The Legacy Performance pants come in waist sizes 18 to 65. The Legacy Performance Tuxedo by Michael Kors will be available for rental from your nearest Jim’s Formal Wear Retailer in March, 2019. Check back for updates on our website.